NEWS We should remain human beings despite the fierce political competition…. Batkivshchyna Party Leader Yulia Tymoshenko believes that the task of all responsible state figures of Ukraine is to make every possible effort, regardless of the results of the presidential election, to build a strong, successful and European Ukraine. The Batkivshchyna team is ready to be part of this work through the proposed provisions of the New Course for Ukraine. 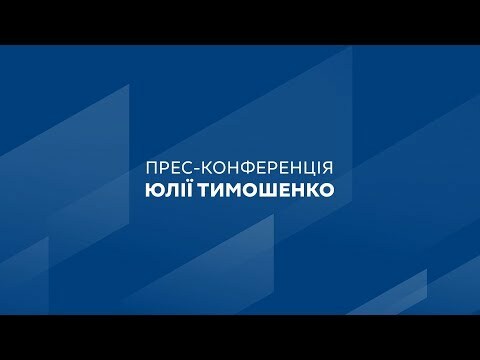 “I believe that the task of all responsible public figures in Ukraine, regardless of who wins the presidential election, is to roll up our sleeves and start working responsibly for Ukraine to become a European, successful and beautiful state,” Yulia Tymoshenko said during the XII Kyiv Security Forum. “And if we are responsible politicians, then we must take the best and most realistic parts of the presidential candidates’ programs and make Ukraine finally happy. I see this as our team’s calling,” said the Head of the Batkivshchyna Party. According to the parliamentarian, no matter who is elected president it is also important that “the current status quo of the country’s management” does not remain. That is why the Batkivshchyna team is ready to unite around rebuilding Ukraine’s system of governance. "Let's be Ukrainians for all Ukrainians"